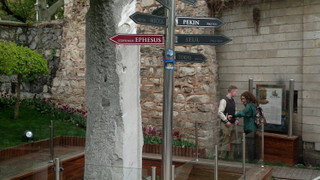 Our museum is open every day between 09.00 - 18.30. 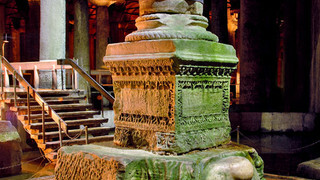 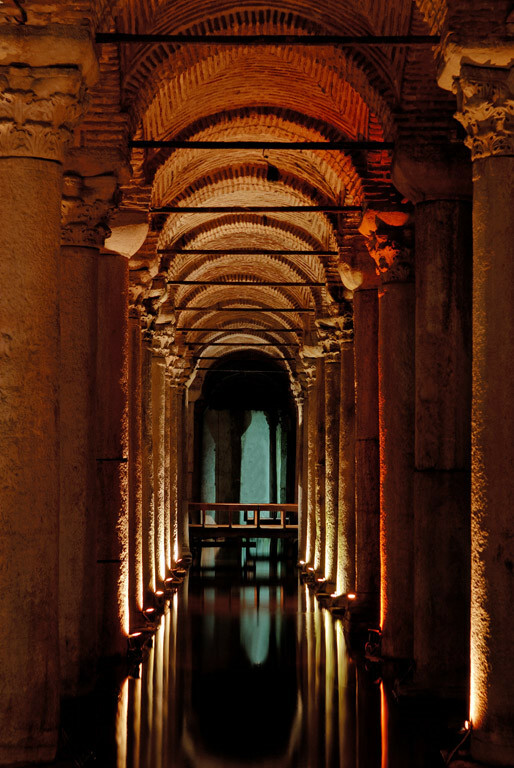 The ‘‘Milion Stone’’ by the Basilica Cistern, which was used for calculating the distance of the cities of the world to Istanbul in Byzantium period, and which marked the zero point, was converted to a touristic object after the environmental monitoring. 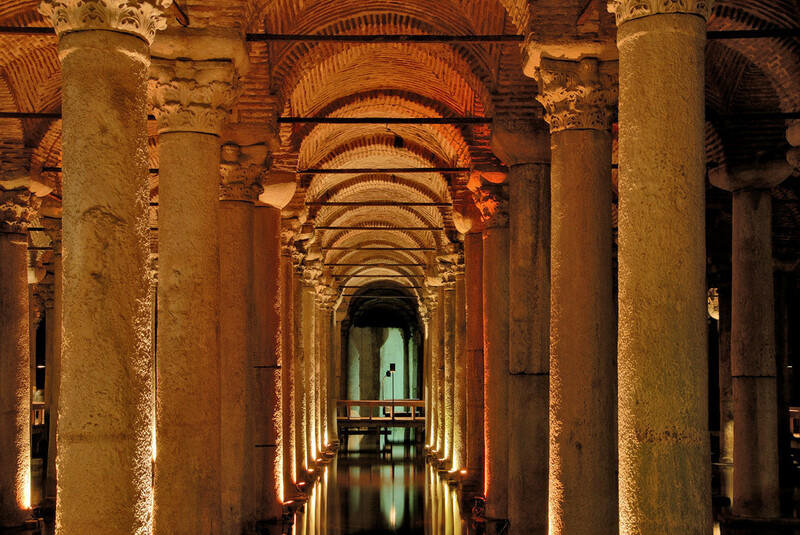 Situated across Hagia Sofia and right next to the Basilica Cistern, the place where the obelisk that survived from the Byzantium period until today functioned as the zero point that was used for calculating distance of the cities of the world to Istanbul. 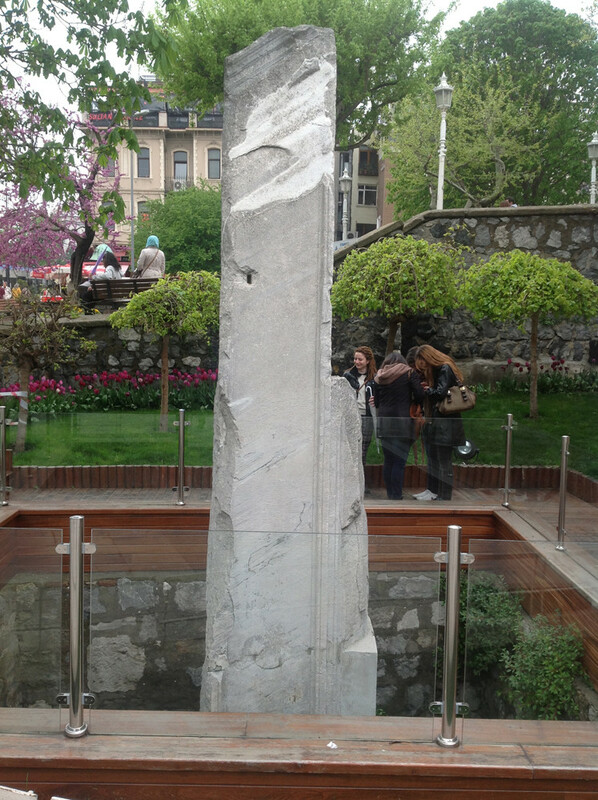 Also known as the ‘‘Milion Stone’’, the obelisk was the starting point of Via Egnatia, the Roman main way that starts from Adriatic and reaches Constantinopolis. 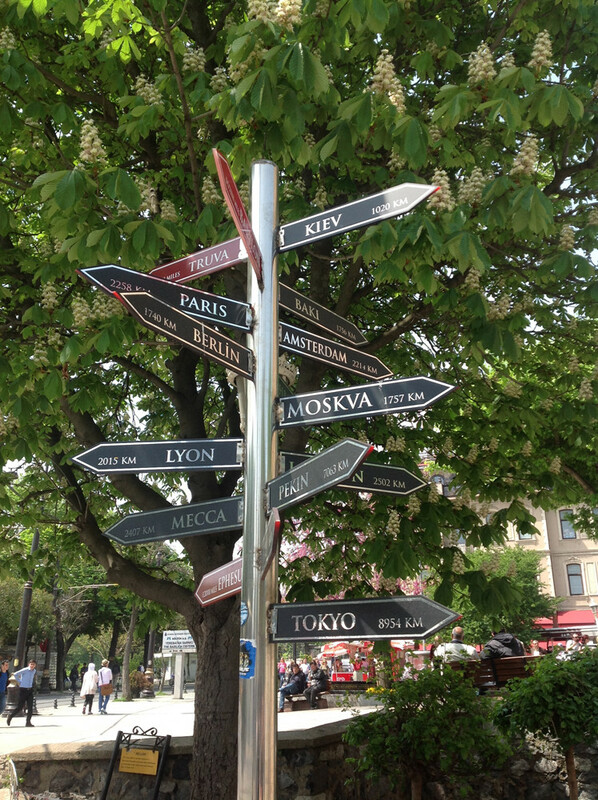 Although many people often pass before it, very few of them know what it is and very few people take notice of it. 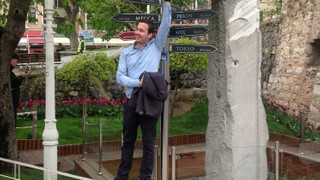 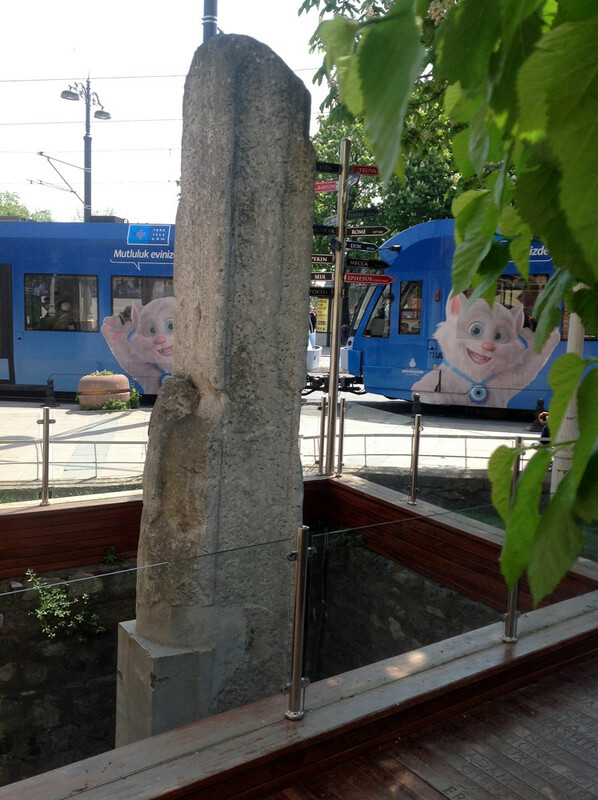 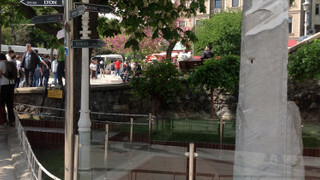 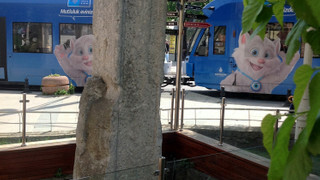 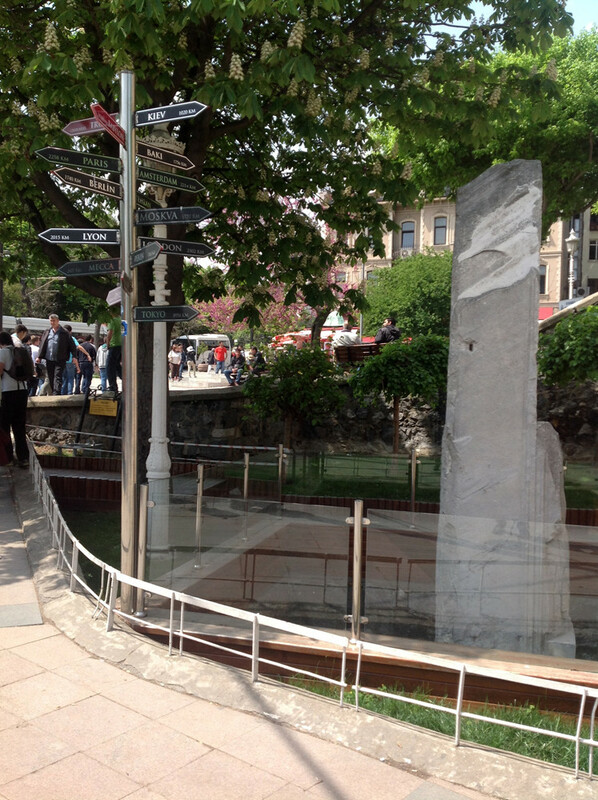 Therefore, the Department of Parks, Gardens and Green Areas of Istanbul Metropolitan municipality performed an environmental planning around the ‘‘Milion Stone’’, and placed an information board. 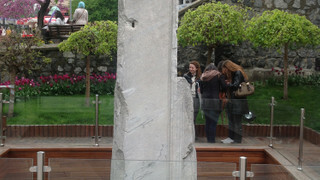 In this way, the obelisk became a touristic object that attracted attention from passersby. 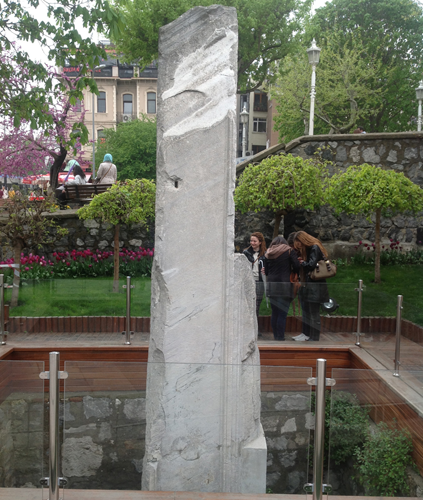 The "Milion Stone" was surrounded by a glass screen. 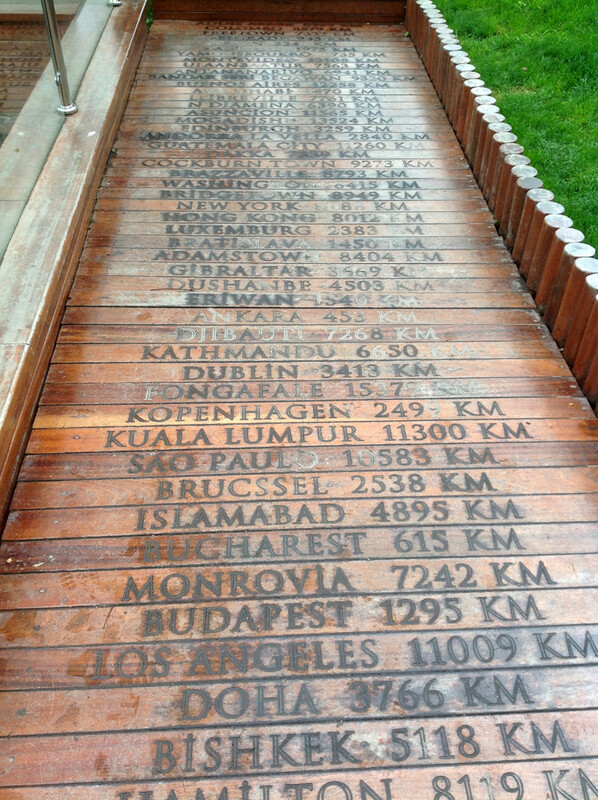 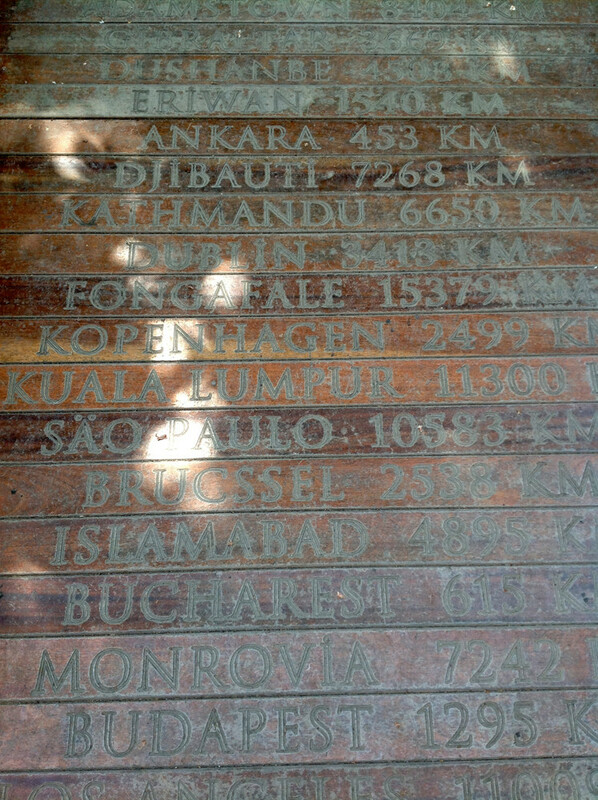 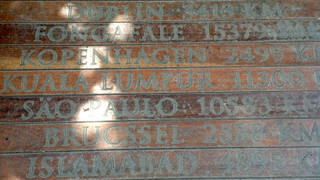 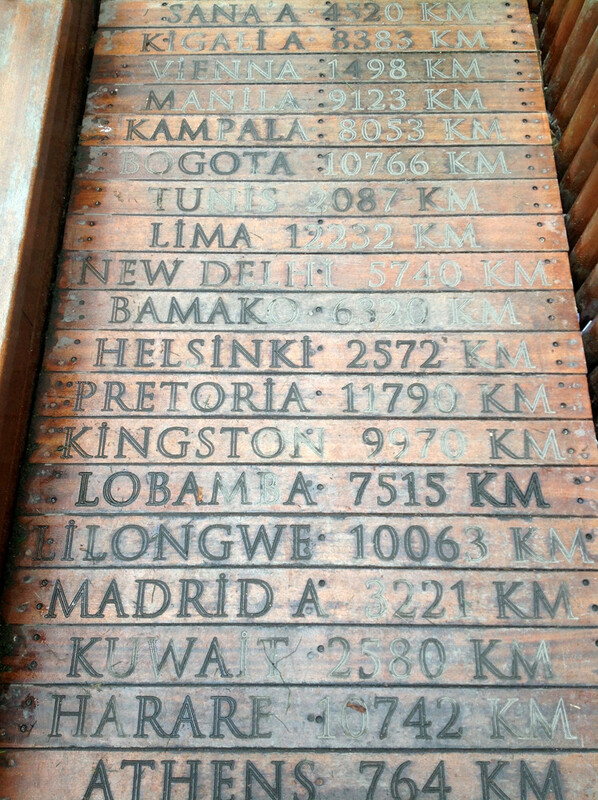 Also a wooden floor was created onto which the distance of other cities to Istanbul was written on minor routes around it. 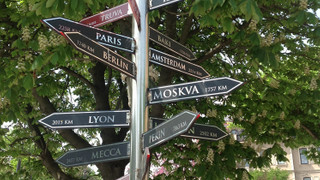 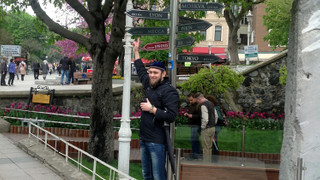 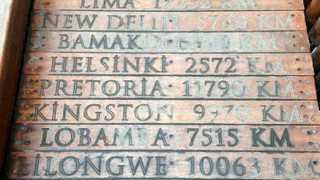 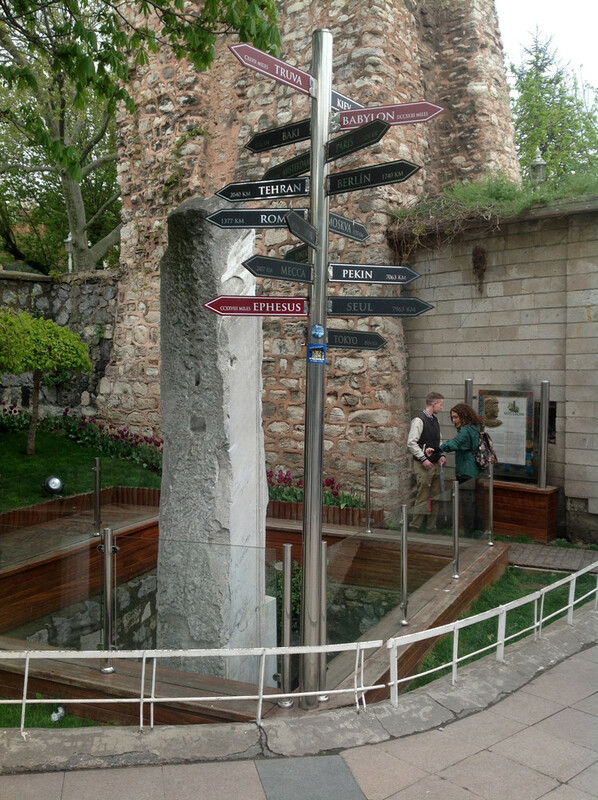 Also, name signboards that demonstrate the directions of the other cities of the world were placed next to the ‘‘Milion Stone’’. 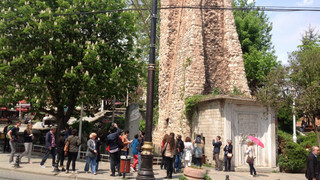 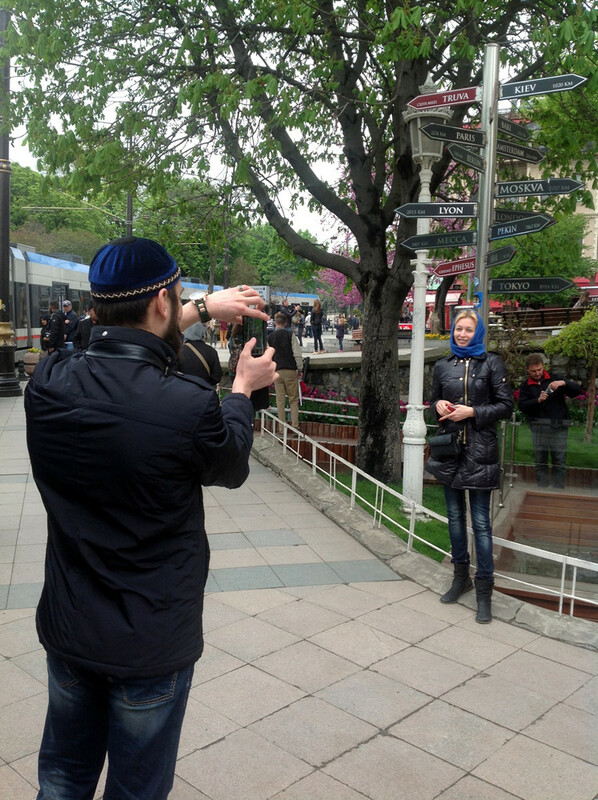 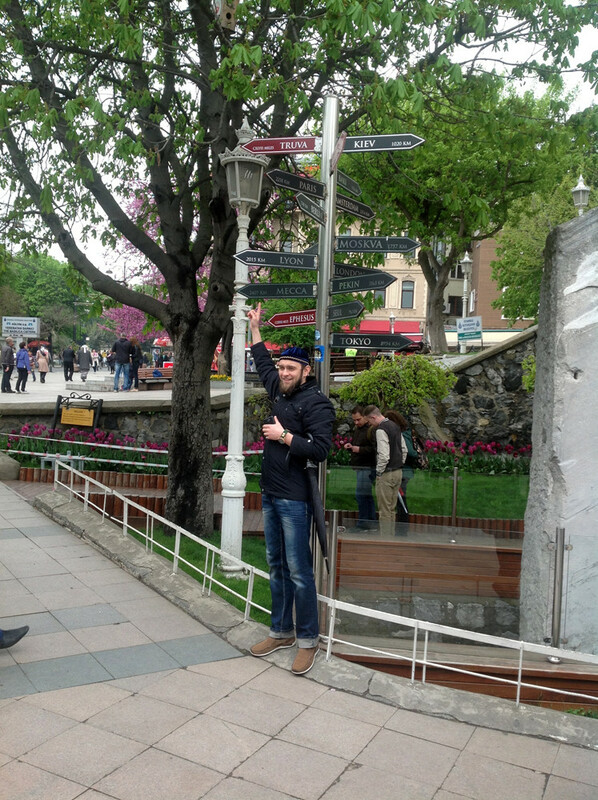 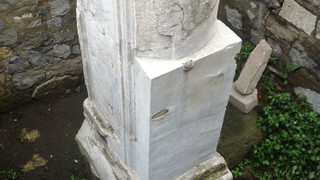 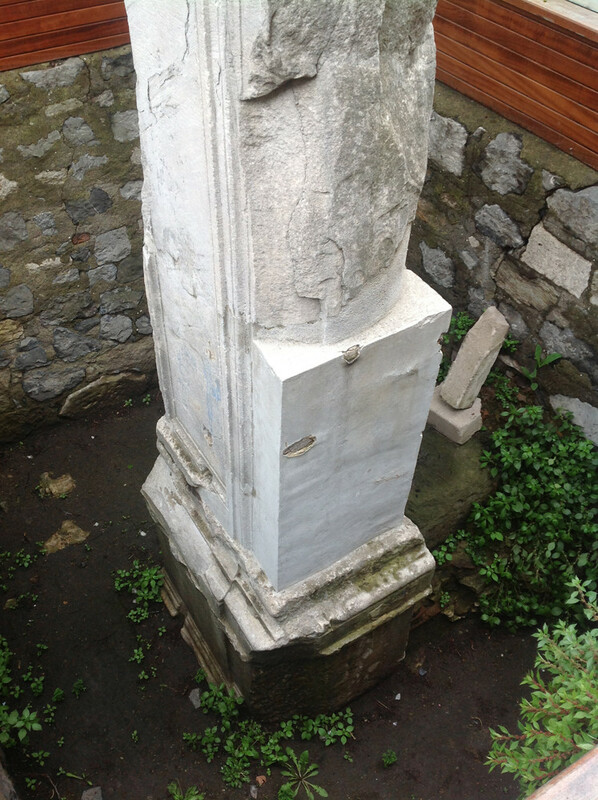 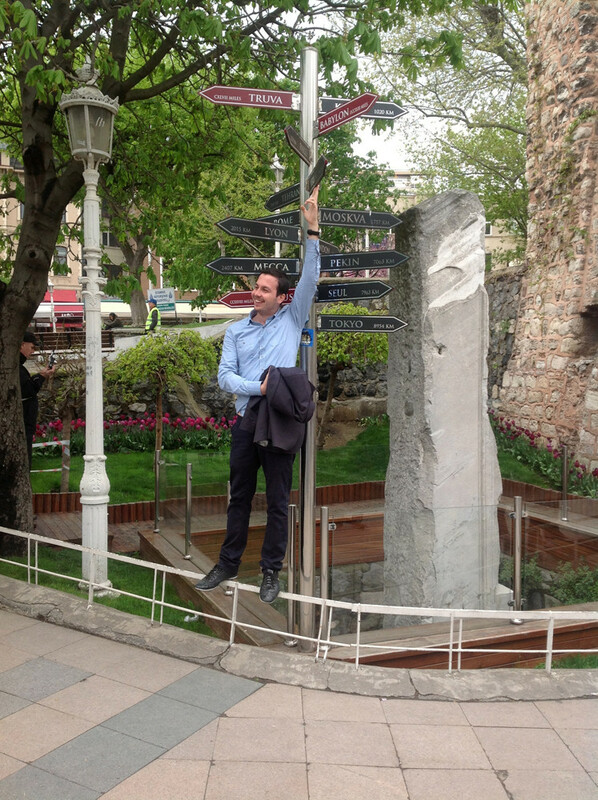 The historical ‘‘Milion Stone’’ seemingly marks the centre of the world after a set of regulations, and it has become a touristic object to which the denizens of Istanbul, domestic and foreign tourists show interest and take souvenir photos in front of it. 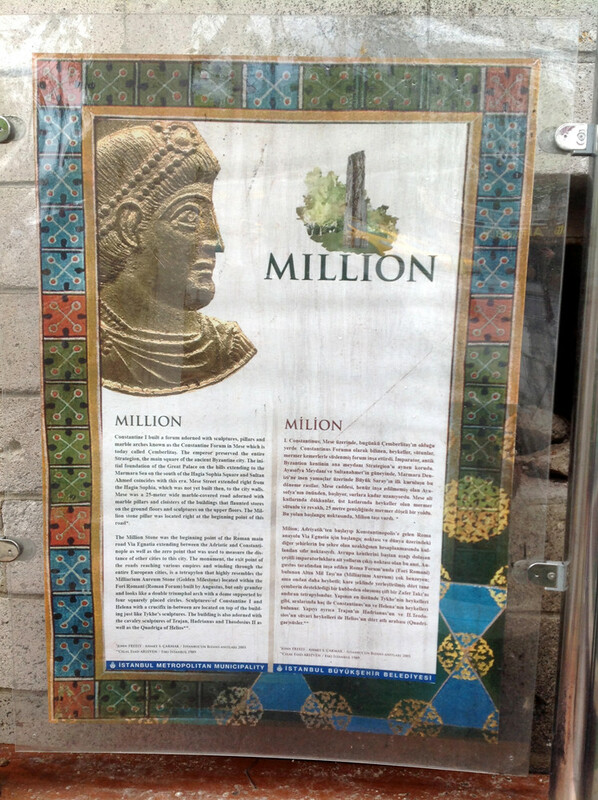 What is the Milion Stone? 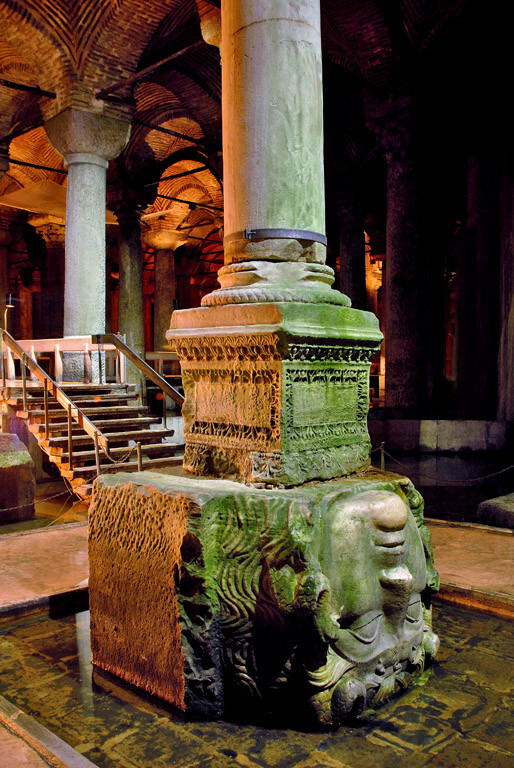 ‘‘Known as the Forum along the Mese, which coincides with the place of Çemberlitaş today, Constantinus ordered construction of a forum decorated with sculptures, columns, and marble arches. 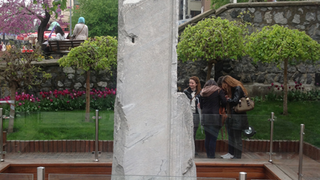 The Emperor preserved the Strategion, the main square of the city of ancient Byzantion exactly as it was. 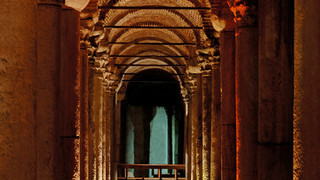 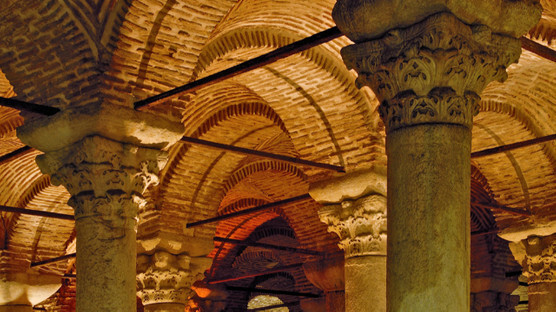 The very first establishment of the great palace seated on the hills down the Sea of Marmara in the south of Hagia Sofia Square and Sultanahmet coincides with this period. 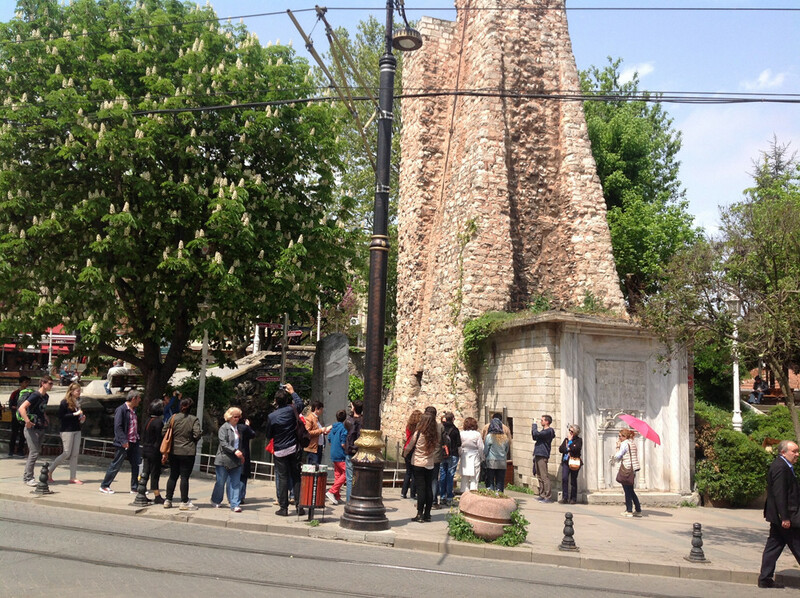 Mese Avenue began in front of not-yet-constructed Hagia Sofia and extended up until the city walls. 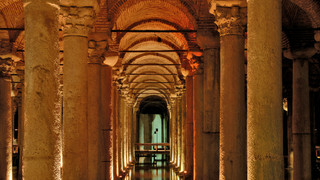 Mese was a marble floored route of 25 m width decorated with marble columns and portico that shelters stores on the lower floors and sculptures on the upper floors. 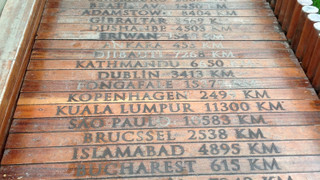 The ‘‘Million Stone’’ was at the outset of the road. 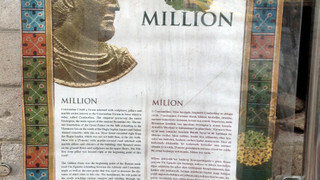 Milion functioned as the starting point for Via Egnatia, the Roman main way that started from Adriatic and reached Constantinopolis, and was used as the zero point for calculating distance of the other cities of the world to Istanbul.